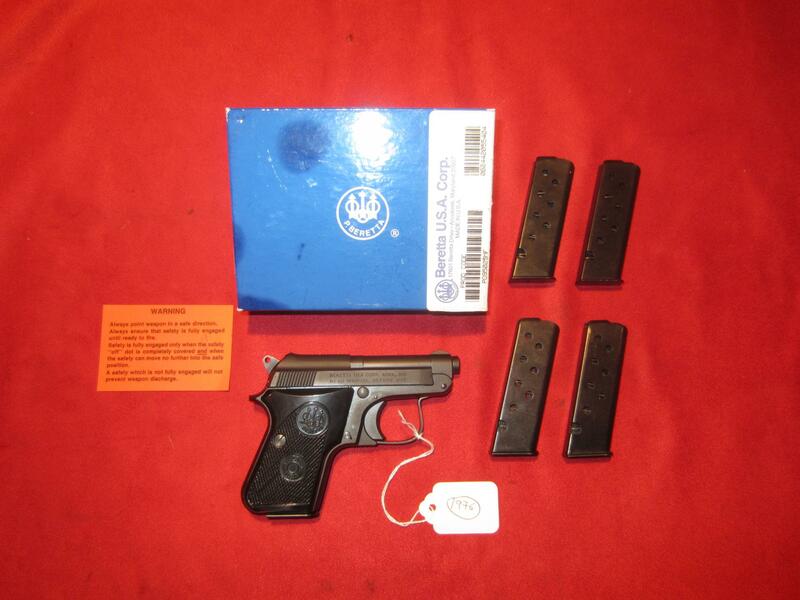 For sale is a Like New In Box (LNIB) Beretta (US made) Model 950 BS pistol in 25 ACP. This is the flip up pistol variant. Comes with matching factory box, warning card and five magazines. 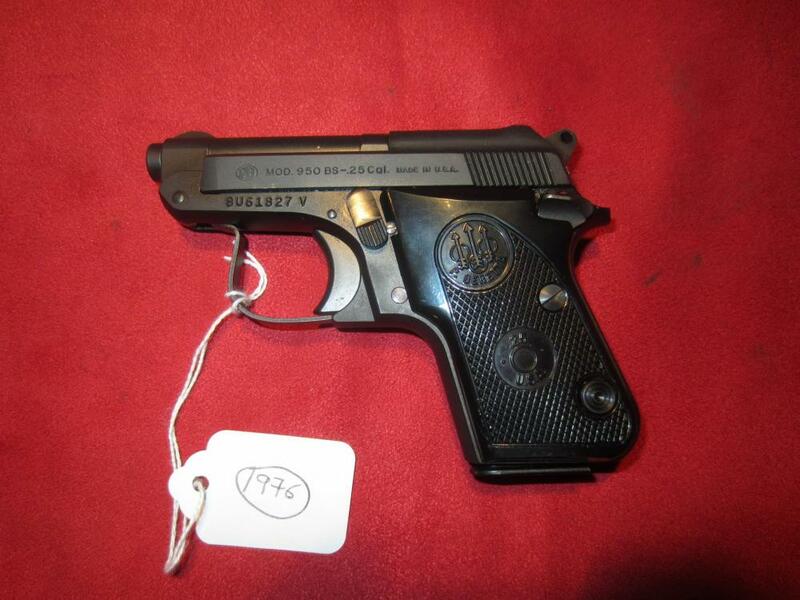 Pistol is Used but looks darn near New inside and out. 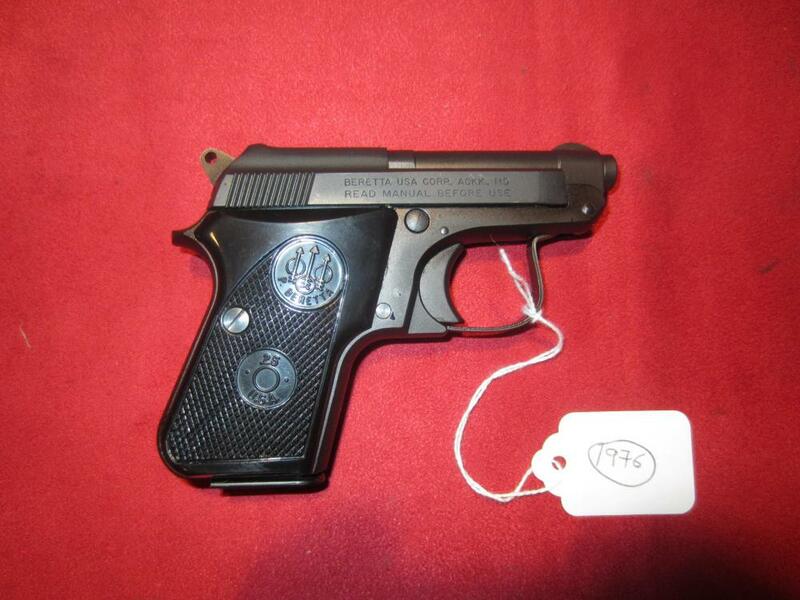 Price is $425 plus $20 for shipping to your FFL via Insured Priority US Mail within lower 48 states. Ohio sales are subject to 7% sales tax. Sorry, no sales to where illegal.